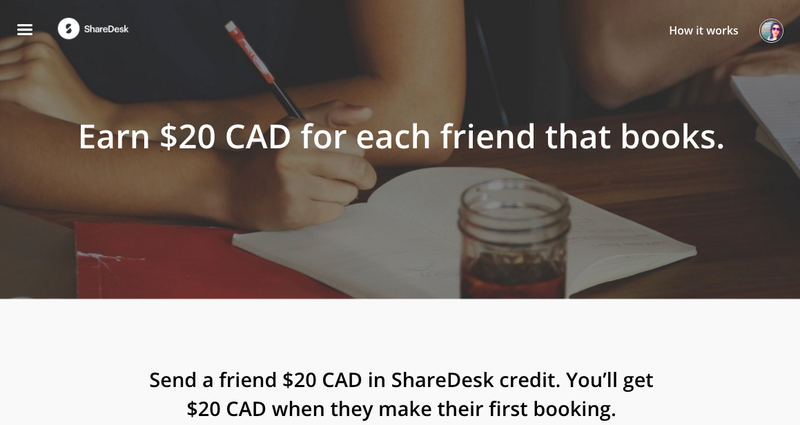 How do I refer a friend to ShareDesk? To send a referral, click Invite friends on the left hand side menu and enter your friend's email address. We’ll send them an email with a link to sign up or log in, and the credits will be automatically applied to their next booking when they are checking out. You can also click on one of the social sharing buttons. This will post a link to your personal redeem page, where your friends can sign up or log in. When they do, the credits will automatically be applied to their account. You can view the status of all your invitations by clicking Invite friends link on the left hand menu.